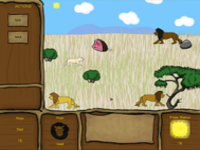 Take control of the prince of a pride of lions facing the worst dry season ever encountered. Help lead the them to their survival, or let your poor leadership wipe them out. A ghost awakens in a mad-scientist's lab above a bubbling cauldron. Writing on chalkboards around him encourage him to escape from the lab. Using discovered powers of hovering, changing size, gliding and eventually passing through solid objects, can the player escape from the lab? 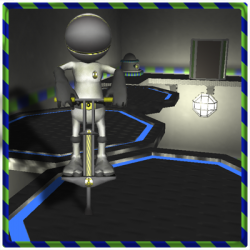 The adventures of a kidnapped spaceman who must escape his alien captors using only his pogo-stick. A side-scrolling action platformer created in Game Maker starring an evil wizard forced to rescue a princess. A competetive/cooperative tile-laying board game with a theme of sci-fi conservationism. Humanity has reached its new home and must harvest resources in order to survive, but avoid repeating the tragedy of destroying Earth with pollution. A philosophical inquiry into game violence and censorship. This report, supported by Mr. Erling Kavita from the Polytechnic of Namibia's school of Natural Resources and Tourism in conjunction with Worcester Polytechnic Institute, investigates Wilderness Safaris' Damaraland Camp and its effects on the local cultures, society, and economy of the individuals living on the Torra Conservancy. 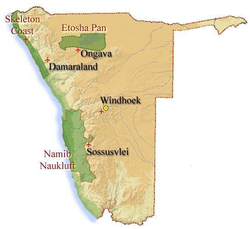 Through analysis of observations, surveys, and interviews conducted with Torra Conservancy members, Wilderness Safaris employees and individuals from other related organizations in Namibia, suggestions for improvement and conclusions were developed. A framework created in an effort to reduce the difficulty of using the Java Sun SPOT technology. 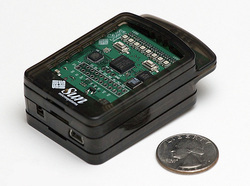 Provides easy-to-use support for the wireless networking (both synchronously and asynchronously), the LED bank, and the accelerometer. A full system for an automated parking garage. From front-end customer and staff terminals to information storage databases, model-view-controllers and interaction with physical sensors. Using only the DrawLine() command and a lot of linear algebra. The modeler converts commands such as Sphere() and Cube() into lists of points, edges, and triangles. Then, using only the DrawLine() command and a lot of linear algebra, the renderer converts these models into flat-shaded images, complete with perspective and multiple light sources.